With all of the cutting I have been doing lately, patches for FOTY 2016 are already piling up. 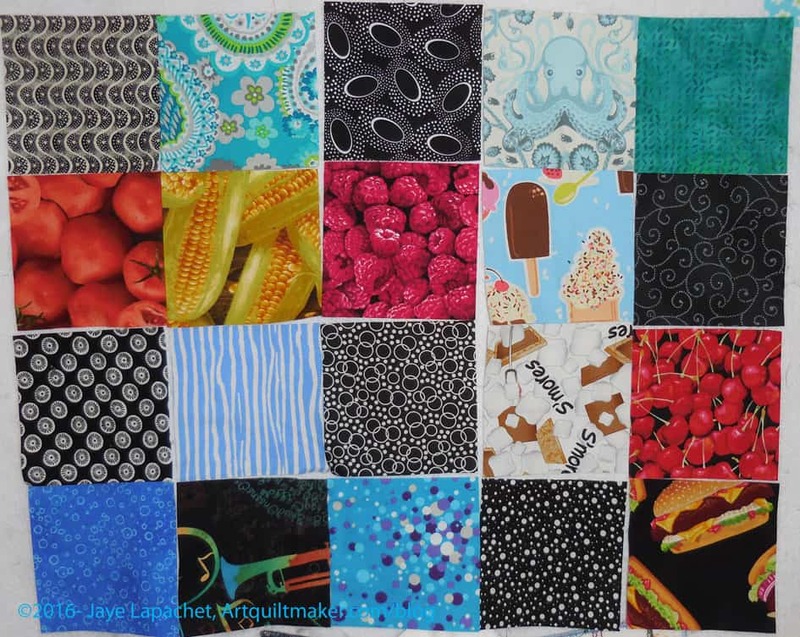 I have a lot of black from the Food Quilt #3, though who knows how much it will look like relative to all the other colors I accumulate. 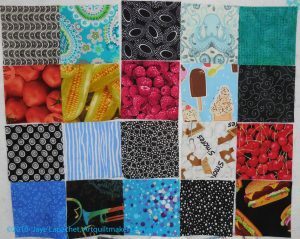 A number of the food fabrics have crept in due to cutting new bits for the last few food 9 patches. In the photo above are the recent pillowcase fabrics and few I have cut that have been recently washed.